It’s time for Spiderforest’s Comic Of The Week Part 2! 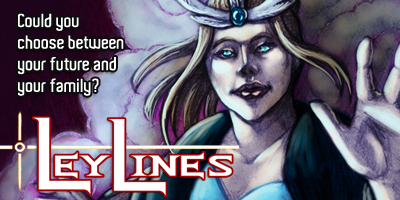 Ley Lines: A nation of conquered peoples and gods is on the brink of civil war. As their world crumbles around them, the children of the current ruler are given a quest by the goddess of dreams that may birth a better future, but cause their own family’s destruction. Tied together with an interesting cast and a narrative full of twists and turns, Ley Lines has a super interesting story and really unique world building. It utilizes some very clever storytelling techniques and neat visuals, the dream sequences in particular being super cool to read through. (You guys know how I fond I am of glowy stuff. Lots of glowy stuff here *w*) Go give it a shot! 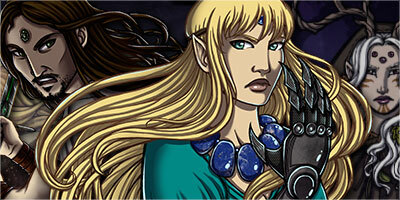 The main characters of Moonslayer cameo’d in chapter 2, if people can remember that far back! MS is a wonderful fantasy comic with a great story, interesting characters, and some seriously gorgeous art. I’m eternally jealous of people who can pull off screentones as well as this artist can. Check it out!